The first Australian ensemble ever signed to the prestigious Deutsche Grammophon label in Australia, Brisbane-based Orava Quartet returns to Melbourne performing the work that became the Quartet’s namesake. Let Wojchiech Kilar’s Orawa transport you to the glorious Tatra Mountains of Eastern Europe, with driving rhythms and rustic melodies. Be moved by Felix Mendelssohn’s sixth string quartet, a requiem to his beloved sister, Fanny. Haydn is known as the ‘Father of the string quartet’ and pivotal in the development of chamber music generally, and what better way to hear this than in the first of his Op.33 – the ‘Russian’ string quartets – written in the rare key of B minor and including an exciting, virtuosic showcase for the first violin in the exuberant race to the finish. Experience joy, despair and camaraderie in one delightful, late-summer hour with Orava Quartet, who bring a whole new level of excitement to string quartet music. Their jaw-dropping take on Mendelssohn’s String Quartet in F minor, Op 80, had audience members four times their age hooting and hollering at what is, in terms of the future of Australian chamber music, the real deal. 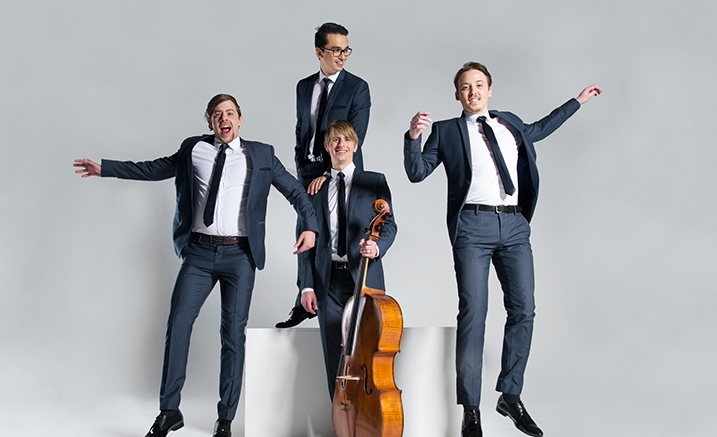 Purchase the Orava Quartet two-concert package and save!